I'm happy to announce our Mothers Day Giveaway which will be drawn on Sunday 12th May - MOTHERS DAY :-) at 12pm (Western Australia time). What's more... I've decided to give away THREE prize places :-). 1. Be sure that you like our Facebook page from your personal profile. 2. Comment below that you have liked my Facebook Page and tell me which of the Jo Totes bags you love best :-). Please include your full name in the comment. 3. For an extra entry, share this competition on your Facebook WALL. Be sure to 'tag' our Cambags Facebook page (so we can follow who has shared to count the extra entry). 4. For another extra entry, share this competition on your Facebook PAGE and 'tag' our Cambags Facebook page (so we can follow who has shared to count the extra entry). Please note that due to Facebook competition guidelines, the winner will be announced as a blog post. The winners will have 14 days to make contact with me to claim their prize. Should there be no contact within this 14 day period, the prize will be redrawn. The winners will be drawn using a random number generator. The prizes will only be sent to an Australian address and all entrants must be 18 years or older. The winners must choose styles currently in stock at time of the draw. Been a fan on fb for a while and I drool over the Rose (and sometimes the Gracie). Have liked the FB page both personally and through my photography page (RC Photography). I love all the bags, but if I had to chose just one, I think I would go with the Rose Pewter. Am loving your page at the moment. I have liked your page and I especially love the Gracie Mint bag. While running around after three boys I need a new way to carry my camera with me. Thanks for the opportunity. Liked your page I especially like the Gracie bag in black. I have liked your page from my personal profile and also my photography profile and I love them all - but especially Rose. Hi, I have liked your facebook page awhile ago. I like most of your bags, but really like the black Missy. Thanks. Hi, I have liked you facebook page and my favourite bag is the Georgia. Thanks. I am a liker on FB I've had my eye on Rose (sugarplum or pewter) for a while. Sandy Bauer, Liked I love the Rose bag. I have liked and shared your page :) All your bags are gorgeous but my choice would be the Mint Gracie bag, just beautiful! HI! I have shared your page on my Wall and on my photography page Country Pix Photography. My favourite bag is the Missy and I would love it in mint! I carry ALOT of gear with me everywhere and this would suit be perfectly! Liked and drooled over your facebook page already ;) and love Betsy in Chocolate. Hayley James. My name is Kirsty Piendl I have liked your page and am in love with your bags. My favorite is the Georgia! Hi my name is Taloa Tauapai, @Loa Tumua Salaivao (my facebook name) I have liked & shared your page, I love the Georgia Bag! Jody Scott here love ur Fb page and love love love all ur bags especially the Betsy teal!! Liked, shared and pinned :) Would love the Betsy in chocolate! I entered, shared and pinned. But live in the US :[ so I guess I can't win. My name is Jessica Sandercock and I am in love with the Georgia cam bag! been a liker on FB for a while, would love it if that was an option. Love the Betsy Bag in chocolate but love the all. Liked and shared. I like the Betsy. Philippa Ryan. Liked and shared by Skye Mitchell. Very glad to stumble across this page. The Betsy in chocolate is gorgeous. Loving the beautiful Betsy Bags, stylish and trendy! Have liked your FB paged and tagged as well. Commenting on behalf of Tracey Bryan. "Have been a lover for a while now. Love betsy teal and missy chocolate but willing to accept any"
DONE DONE DONE and DONE! I love the MUSTARD GRACIE! I would love to try the Gracie in Teal!! 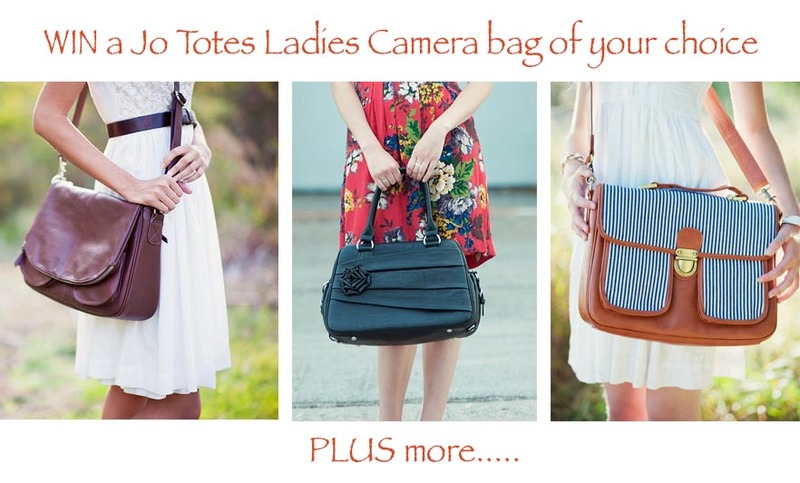 l have loved your facebook site, well not long enough, But am so lucky to have come across this site with your beautiful camera bags..My Fave is the Betsy Bag!!! Christie Mann - I love the Rose in Sugarplum! Would go so well with the photography business logo and the gorgeous blue ikea shelves I bought today for my client room! liked and shared and pinned :) I realllllly love the Betsy bag, if only I could afford it. Hi, I'm Willis Chong. I've already liked, shared the competition both on my Wall and Page. Would really love to get a camera bag for my mum this Mothers Day. My mum and me both are an hobbyist photographer, but we do have some gears to carry around during family trips. She has always asked me to carry her gears as camera bags are pretty bulky and dull, which she only carries a simple lens and I need to assit her with that. 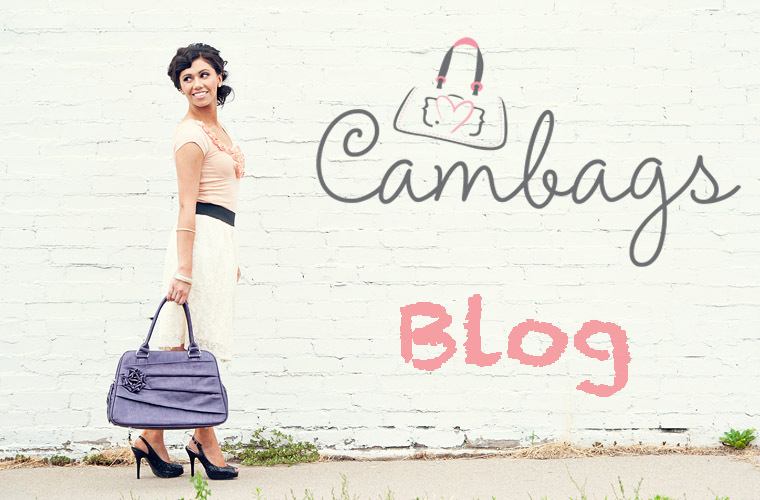 Cambags definitely suits her as the bag blends functionality and fashion into one. I'm sure mum will find it Cambags Gracie Black a perfect Mothers Day gift. Shared and Pinned. Eeny Meeny Miny Mo!! I love them all. But trying to decide between a Rasberry Rose or Missy Mint. I would love to win the Gracie in Teal. I'm already a fan on facebook. The bag I'd love to win Gracie in butterscotch. Hi I'm a new fan and love your Rose bag! It was not easy to choose a bag as they all look great. I choose Gracie as it has extra pockets. Sarah Grundmann Brown <3's your page on facebook. I love the Rose collection especially the Sugarplum & Teal!!!! Liked your page ages ago! Been waiting for the right bag and finally you've posted your 'Abby' bag today - looks so sweet and perfect! Have LOVED your page as requested. The Gracie in Teal is my fav JoTote. The colour is AMAZEBALLS and it has so many great storage pockets - especially those two on the front - for me to stash my iPad, iPhone chargers, CF Cards etc. I always hate travelling with my Lower Pro bags because they're so manly and boring plus they look terrible with womens fashion!! My favourite has to be Rose or Gracie. it is really hard to choose! My full name is Prathna Tiwari.I have shared you competition on my personal FB page, on my business page and repinned on pinterest. I am a Fan on Facebook and re-pinned the image on Pinterest! I would love the Gracie.. or Missy... or Rose ... I cant decide!!! Louise Kladakis. Liked & Shared on FB, loving the Abby in mint. Just perfect for my new camera. I love your page and the bags. Favourite - Georgia. I have liked and shared. Liked,shared and pinned! I posted above but forgot to put my name! Rebecca McKenzie. Betsy in chocolate is my fave! I couldn't think of anyone more deserving than Katrina Cram, wonderful mother & its also her birthday today!